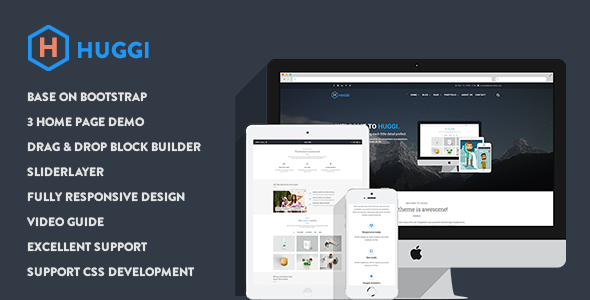 Huggi theme is modern and professional business Drupal theme with fuly responsive design. A great candidate for any type of website, for personal or business use, Huggi is easy to use and highly customizable. The theme has its own super powerful theme control panel with lots of useful options and tools to manage your site: Block builder, SliderLayer, Customize, etc.